Stoner rock from Malmö, Sweden. Emergenza winners 2017 in Malmö, in Sweden and in Scandinavia. A common goal to create riff-driven songs in combination with atmospheric relatable melodies led Huanastone to draw inspiration from bands such as Black Sabbath, Kyuss and Alice in Chains. Combining stoner rock with grunge is what gives Huanastone their unique sound. The group has throughout the years made some changes regarding band members. The most noticeable one happened in 2016 when the lead singer Jonas quit shortly after recording the band’s first self-titled EP. As a result of a freak coincidence Tobias joined the group. Right after that the band went on tour in Croatia during on which he made his first live-appearance with the band. From thereon out the band has managed a slow but firm progression, receiving great reviews as well as getting recognized for their live performances. Huanastone has, since the beginning, always put an emphasis on creating “honest” sounding recordings. Music is in, of itself, entertainment and there is no reason to lie to the crowd. Live recordings have therefore been an essential and important part of the process. What Huanastone sounds and feel like on record is what you get during a live performance. In 2017 Huanastone released their first full length album “Second Stone”. A huge sounding record where whether you are into psychedelic, stoner, grunge or pure Rock 'n' Roll you will find something just for you hiding amongst the five songs the album supplies. Carl Lambertus, Filip Larsson, Victor Hansson, Tobias Amaru Gonzalez Contardo. 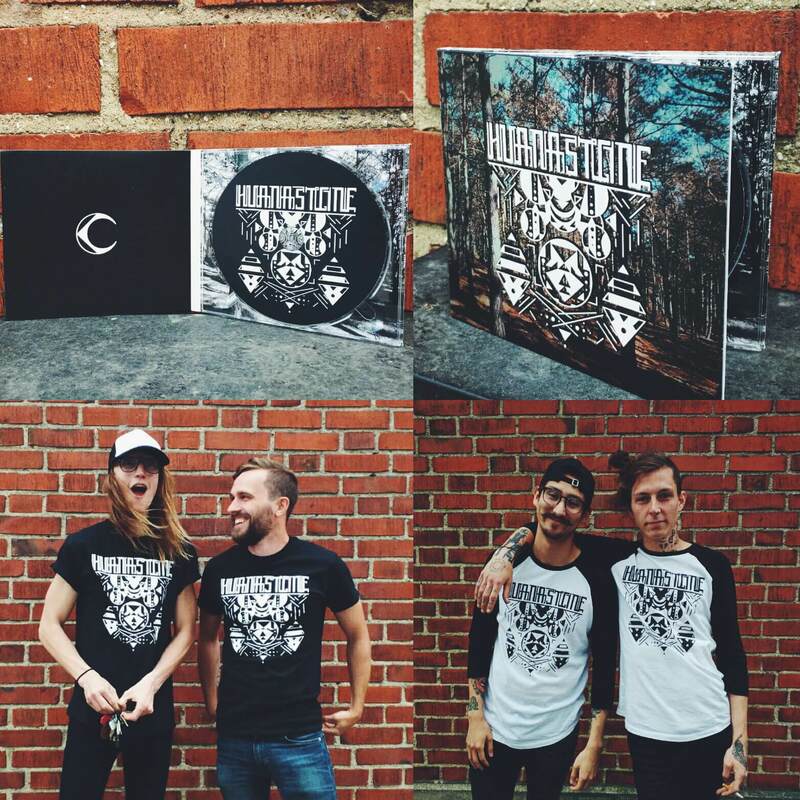 Visit Bandcamp to purchase the CD digital for only 30 sek or email us to order a physical copy for 100 sek. Feel free to email us if you want to book us, buy a CD, a T-Shirt, or to just say hello!